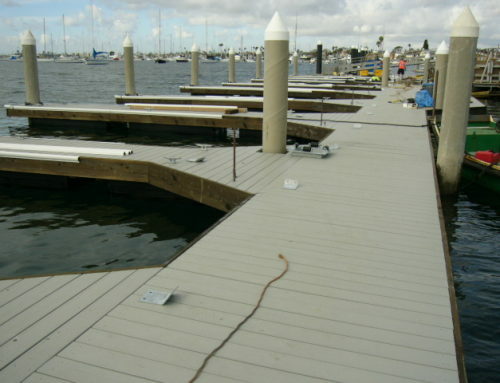 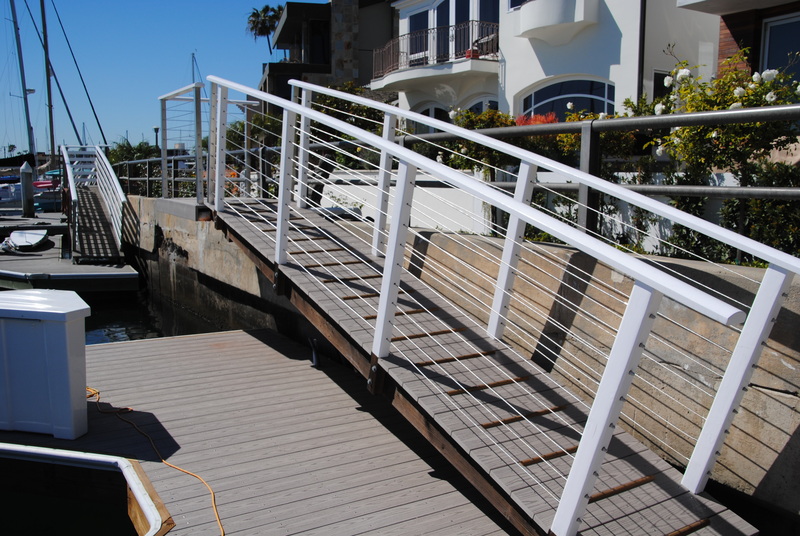 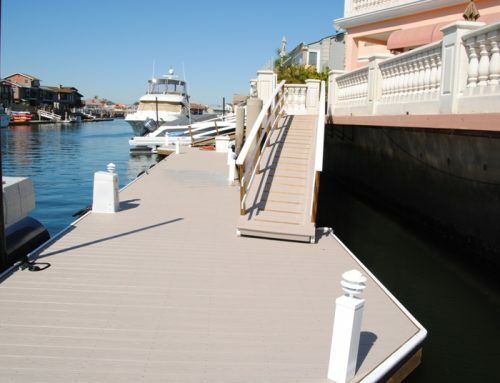 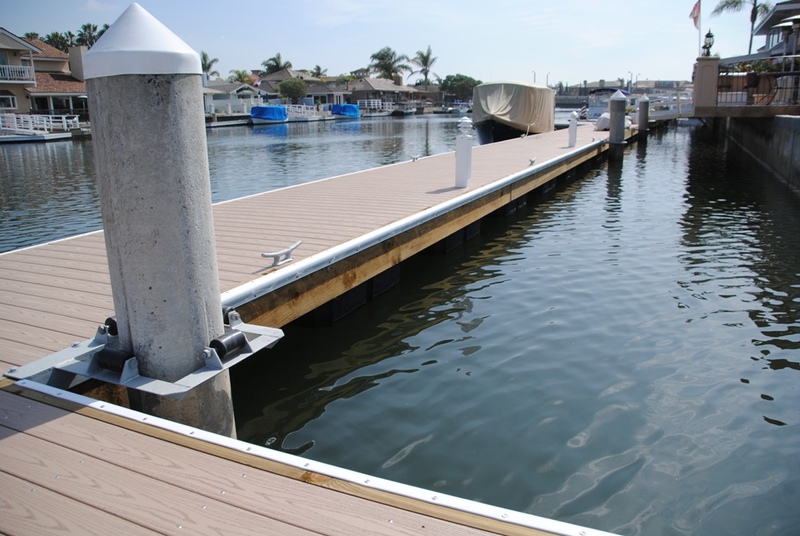 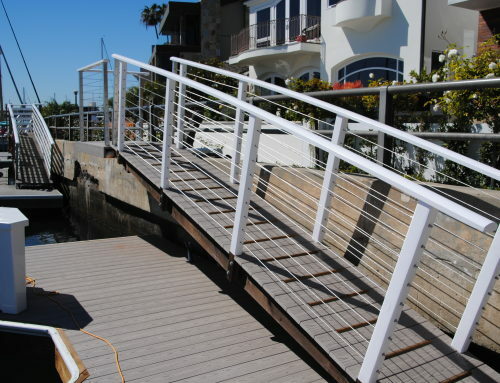 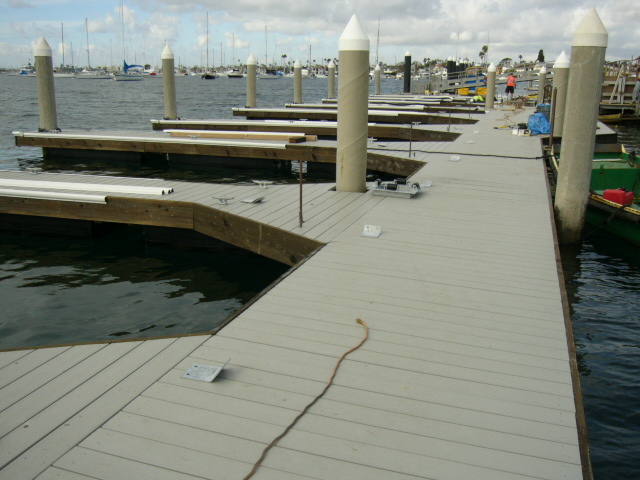 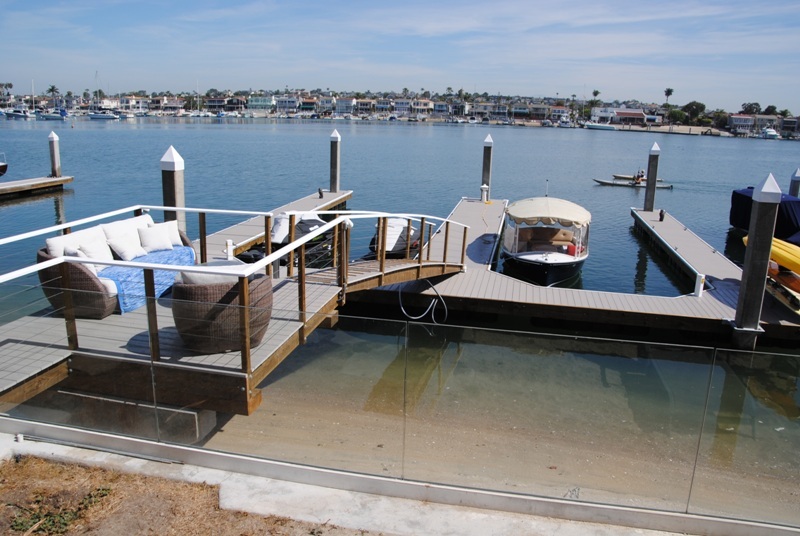 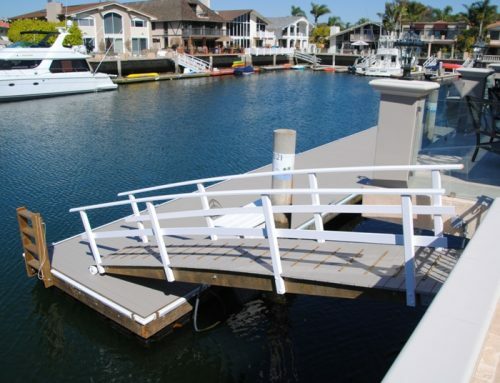 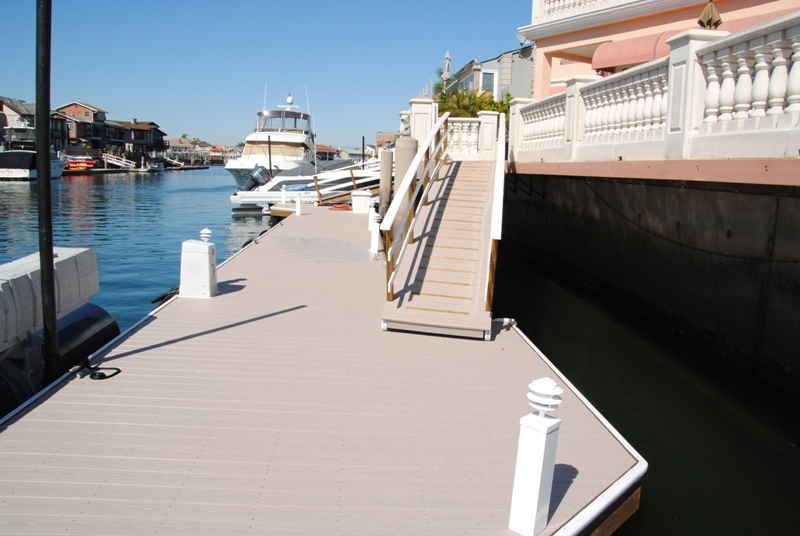 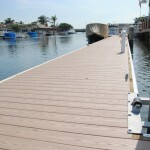 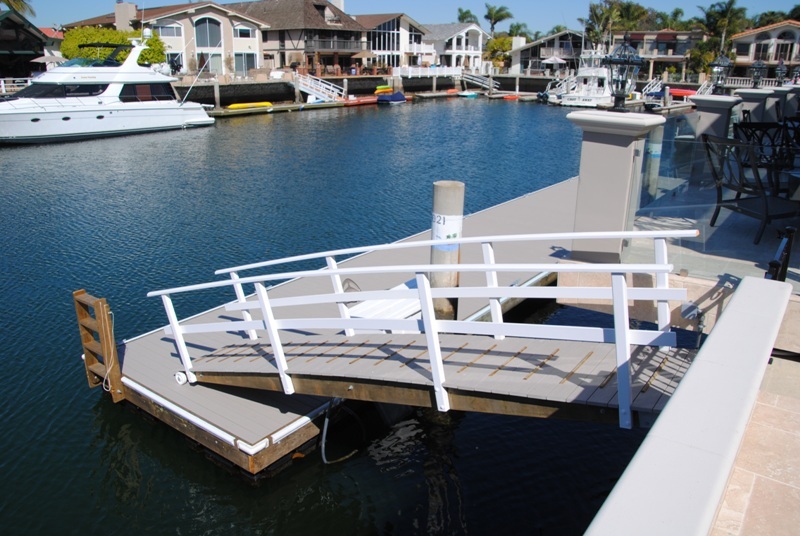 This floating dock in Huntington Harbour is made with AZEK decking. 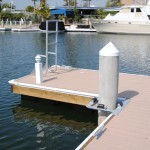 It has a 3×12 facia with dock accessories including an aluminum swim ladder and Pagoda tower, which have a deck light and a power plug. 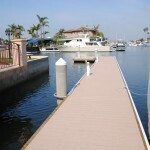 Because Huntington Harbour is a narrow channel, the shape of this dock is a long “L”. 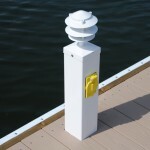 This creates more opportunities for side tie rather than a slip. 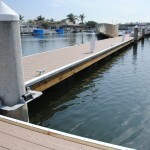 Swift Slip will build a custom structure perfect for your situation and location.